YouTube has millions of videos which you want to watch again and again, and for better cost, you would like to download your favorite YouTube Videos on your devices local storage. 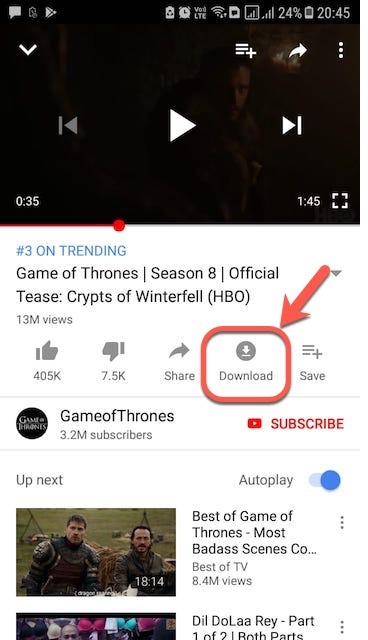 By default, for Mobile users, YouTube gives the option to download YouTube Videos for offline viewing, But, these downloaded videos can only be seen using YouTube App only. If you want to download YouTube Videos on your Mobile device or Computer System for offline viewing, you are at the right place. So, Let’s see the various ways to download YouTube Videos on your Mobile device as well as Computer system. Step 1. Open the YouTube application on your mobile. Step 2. Search the video and Tap the video you want to download. Step 4. Simply Tap on ‘Download’ and the video starts to download. Now you can watch it from the app whenever you require. Note: Not all videos are available for download. You can also save this video for ‘Watch later’ or any of your YouTube playlist so that you can easily found the downloaded videos on YouTube App. TubeMate Video Downloader is both an Application software for your Computer System and an App for your mobile device. Hence, you can use this to download YouTube Videos on any of the platforms. Desktop & Mobiles users can download this tool from its official website or any other source. On your Mobile device, as you have to download this app from an unknown source, you have to enable installation from Unknown Source option on your mobile device. Step 1. Enable your Android device to install and run apps from other sources. As The TubeMate YouTube video downloader is not available on the Google Play Store. So, go to Settings and then to Security. Step 2. Scroll down and tap the toggle to turn the setting on where it reads ‘Unknown sources‘. Step 1. Once you have enabled install Android apps from Unknown sources. Go to TubeMate Downloader site on your mobile and choose one of the verified sites to download the app. Step 2. When TubeMate has downloaded, run the file then click on Install and hit on Open. The application will launch. Step 3. Now search a video to start playing it, next click the red ‘Download’ button which is available at the bottom right of the app. Step 4. Further, you will view video and audio formats, quality and resolution options for all. Download the highest possible quality versions as per your mobile compatibility. Step 5. Now again click the red ‘Download’ button. The video will start to download in the background. Extra tip: You can further add YouTube videos to a queue to download it after some time. VDYouTube is an Online tool, wherein you have to simply enter the URL of the YouTube video that you want to download. You don’t need to download any software or app on your device and can easily download videos in a single shot. As this is online tool, you can use it on both your Desktop as well as Mobile Device. You can also download youtube videos in different formats and also download only Audio (mp3) of any YouTube video. Step 1. Go to website VDYouTube to let YouTube download online. Step 3. Hit on Go button. Step 4. Next, tap on the red Download button. Step 5. Lastly, choose the format you need, and the video will start to download. 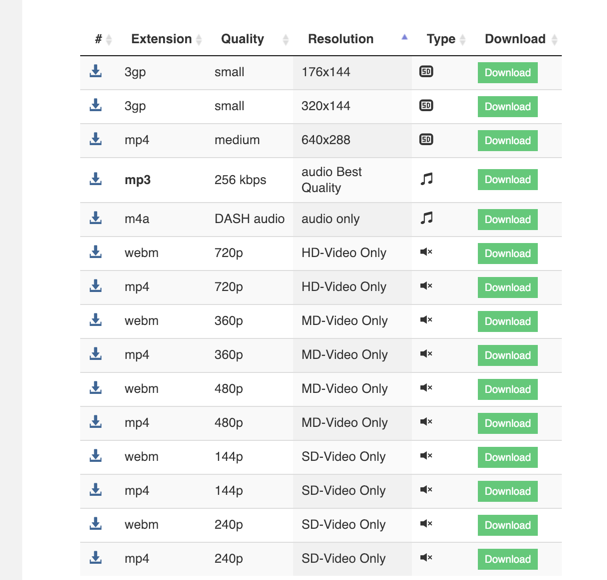 Note: This tool permits you only to download 720p videos. Disclamation & Warning: This tutorial is only for educational purpose. If you use this in any wrong way then this blog and author is not responsible for any action taken against you. Downloading YouTube Videos is illegal for sharing purpose. So, In this article, we have shared all the best three easy methods to download YouTube videos for both Desktop and Mobile devices. These are the easiest method so far known to us.